This quick and easy pasta with bacon and vegetables was tonight’s supper and was thrown together from what I could find in the kitchen. I am trying to keep the fat content of our food as low as possible so grilled the bacon and just added a small amount of grated cheddar. and simmer for about 20 minutes, then add the cooked pasta. 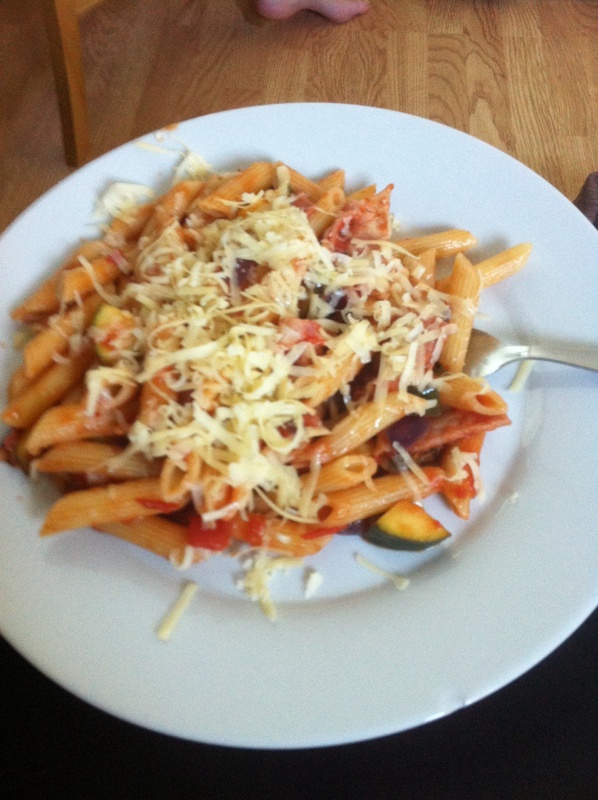 This pasta with bacon and vegetables is nice served with a little grated cheese, a green salad and some crusty bread.